TORSUS intrusion system line is employed for the protection of rigid metal fences such as heavy welded panels and palisades.TORSUS consists of special torsion sensors which perceive the flexions and the torsions of the bearing posts during an intrusion attempt for shock, breakthrough and climb. The particular shape of the sensor and the use of a special piezoceramic transducer provide TORSUS systems a very high sensitivity which can even detect climbing actions performed without causing vibrations and noise.TORSUS systems can be installed on different types of grill fences, both industrial and craftmade. The sensors are fixed to the base of the bearing posts, along the inside fence; in some cases, they can be even installed inside the posts, becoming completely invisible.All TORSUS systems and their signals can be centralized over DEA NET to be integrated into DEA MAP software or 3rd party devices and software, also with IP protocol. TORSUS systems not only discriminate and detect breach, breakthrough and climbing events, but also climbing perfomed without causing vibrations and noises. 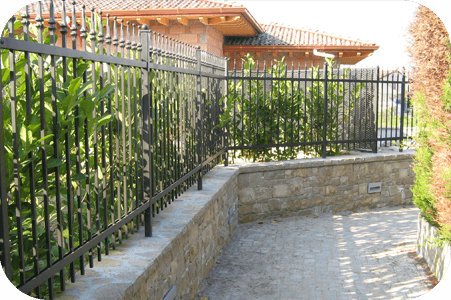 Fence-mounted system suited for any kind of perimeter in terms of complexity and dimensions. Stand-alone version of TORSUS 50 system provided in ready-to-install kits. 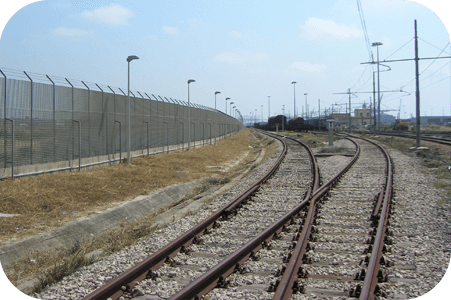 TORSUS 50 is a perimeter intrusion detection system for rigid metal fences. It deploys passive sensors provided in prewired strings up to 50 metres long. TORSUS 50 is suitable for the protection of perimeters of any size and complexity, both in residential and in industrial sector. TORSUS 50 is available in three colours – grey, green and black – and in strings of different distance between the sensors (2, or 2,5 metres). The system can be also provided with polyamide sensors (highly resistant to chemical agents) or with cable protected with flexible metal sheath. TORSUS 50 is available in sensor-strings of 50-metre length maximum, to provide an accurate identification of the section under alarm and to be easily coupled with the videosurveillance systems (CCTV). Specially designed for external use, TORSUS 50 sensors and cables have a very high resistance to UV rays and to temperatures varying from -40° to +80° C. The piezodynamic transducer of the sensor is virtually inexhaustible and is immune to electrical failure. TORSUS 50 is able to discriminate shock, breakthrough and climb events, including climbing performed without causing vibration and noise. High flexibility of the sensor-strings. The detection sensor-strings suit the most difficult ground conditions and the direction of the perimeter, making it possible to follow differences in levels, avoid obstacles and overcome possible interruptions of the fence. TORSUS COMPACT 50 is a stand-alone version of TORSUS 50 system and is supplied in a ready-to-install kit for the protection of a 50-metre perimeter. It is particularly suitable for the protection of small residential and commercial sites. TORSUS COMPACT 50 uses TORSUS 50 technology and sensors, therefore provides the same level of reliability and performance. It differs from the latter for its simplified range of versions, for its “all inclusive” packaging and for being more suitable to protect small perimeters, especially in residential areas.